I co-managed a game store in the heyday of CCGs. I started back there just as the first Magic the Gathering expansions landed: Arabian Nights and Antiquities. While I didn’t dig Magic that much, I tried to push it. I didn't dislike like these games, I'd just dug Jyhad, INWO, and On the Edge more. CCGs had a weird life-cycle in those days. New lines popped up every week. We could generally get some traction for just a few of those. Usually you’d get an early adopter who would bought heavy and brought new people in. That’s how Wyvern, ICE's Middle-Earth, Netrunner, Feng Shui, and Star Trek survived through a couple of expansions before crashing. Part of my job involved spotting and pushing those impressionable folks. Then I heard about Legend of the Five Rings. AEG advertised in Scrye and elsewhere well ahead of release. I got super-hyped. I knew it had samurai-themed fantasy; a multiplayer component; an evolving limited storyline; and clan-themed decks so players could easily focus on a faction. 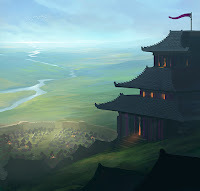 I pushed hard on L5R- roping in about a dozen players, getting them set up with decks, and arranging for play. But L5R wasn’t easy. It had tricky timing rules, two-deck construction, and the potential for lengthy games. It could lock up hard with more than three players. I kept cheerleading for a while, but it quickly became clear everyone wanted an easier game. I still liked it and felt bad. I bought many players' cards off of them. I wasn't going to play but I wanted to collect. I only kept up through the first several expansions. My enthusiasm had a limit. Lacking players, all I had was the fun of looking through and trying to construct head canon from the color text fragments on cards. Who was Toturi? Why was he attached to the Lion Clan? What was the deal with the Kolat? Why did the clans have non-humans working in their mines? I’ve been a sucker since then, buying into the CCG again from time to time (and then stopping), picking up all the rpg materials, reading the novels, and falling in and out of love with the setting. 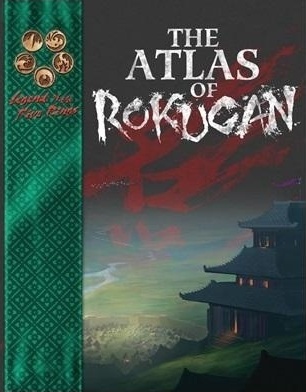 This week the Atlas of Rokugan arrived. And it’s depressing...but maybe not for the reasons you’d assume. You may know that AEG sold the Legend of the Five Rings license to Fantasy Flight a couple of weeks ago. This isn’t the first time that’s happened, but this feels more final and complete. FFG will have a beta version of a new L5R LCG out for Gen Con next year. Perhaps we’ll see some cool board games in the future. And FFG has indicated that if the LCG does well, they’ll consider doing something with the rpg. 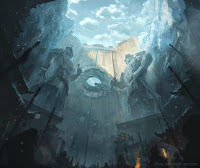 But that means that the Atlas represents the final product for the L5R RPG 4th Edition. That’s too bad. This edition has been lovely and solid. They're best looking L5R products and among the nicest rpg books I’ve seen. The layout team been consistent with the package and text design, making serious use of their existing art assets. It’s also the first edition that embraces all of the setting's history. They shifted metaplot to the back and crafted resources which could be used for any era of play (well, mostly). They came up with new approaches to presentation and themes. The elemental “catch-all” books started weak, but got stronger. The massive Second City boxed set offered a completely new campaign approach. 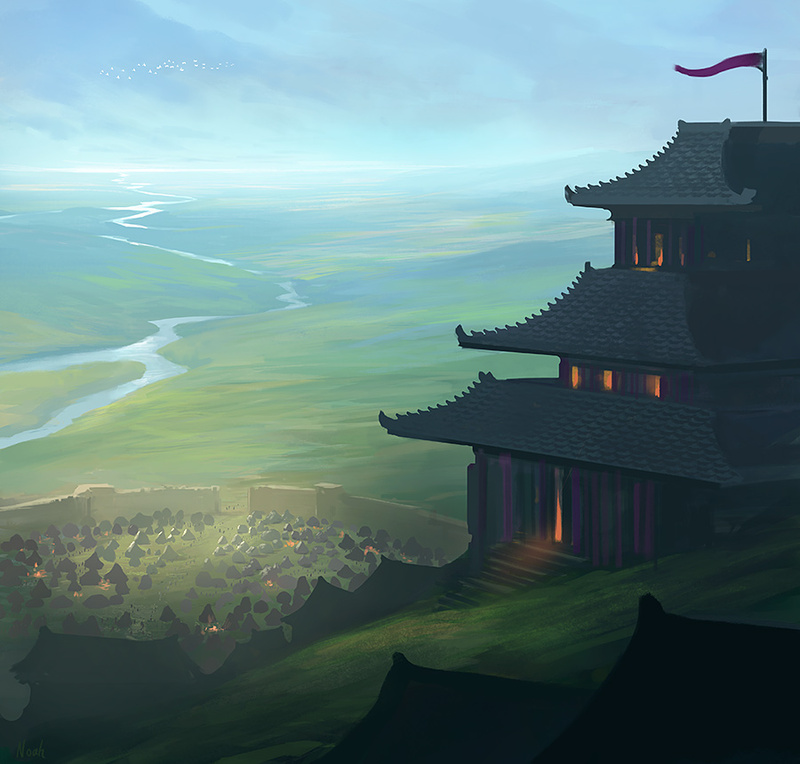 The Imperial Histories volumes encouraged GMs to do new things with Rokugan. On the other hand it’s also good that we’re finished. The Atlas closes out a solid and complete line. It does lack any good modules, a huge weakness. But there’s enough material to serve any potential gamer. However with no publisher, we'll see how hard it becomes to get these books. Will FFG sell through the backstock? Will PoD be the only source soon? Will it wither? But that’s not what depressed me. I’ve run several L5R campaigns, once with Rolemaster, one with Storyteller, and the current game with Action Cards. Before Clan War I painted figures in clan colors and wrote samurai skirmish rules. I love the weirdness of L5R and the balance of social, magical, and physical concerns. That’s despite some serious problems: the way it reduces some of the real wildness and strangeness of the source cultures, the whatev’ smashing together of distinct Asian cultures into a mish-mash, the odd treatment of real world faiths, and the token exoticism of the setting at times. I’ve read Edward Said, and yeah L5R can be Orientalist. I've cringed more than a couple of times. I’ve had to make my peace with that, but I know that’s likely a cop out. My Rokugan’s pretty different as I’ve talked about before. And I hope that I can present a campaign that avoids those pitfalls. What depressed me were the maps. Early L5R didn’t have maps. I mean they had maps, but just rough and impressionistic ones. They had a great in-game justification for it. In Rokugan, Imperial decrees had the weight of law. If an Emperor stated or affirmed something about geography: distance, routes, local terrain, it became an absolute fact for future map makers. Contradiction and confusion meant that public maps could only be picture, rather than a guide. In the game material that trickled down to the presentation of places and regions. These existed in relation to one another; landmarks simply lay in an area. But that area remained a board the GM could manipulate easily. Everything was fungible and the GM had room to shift and mold the land. We could steal and swipe, bring in cool descriptions, and fit travel to the scene. Now we have a sense of distance, a sense of scale. We can measure the miles between locations. Places aren’t empty, ready to be colored in on the fly. Now I know how far it is from Nikesake to Ukabu Mura, what direction we have to walk, what lies between. The imaginative space has vanished. The wave function of fantasy has collapsed. And it’s so dumb that I feel this way. The Atlas is a gorgeous book and a fitting capstone to the edifice of Rokugan. There’s a huge amount of effort and skill on display here. My only realistic complaint would be that the glue they used to adhere the fold-out map stains the paper. But my phantasmal complaints are many and varied. I had a similar reaction to Numenera. I love the concept: a wild, mutable, and open world of high weirdness and fantasy, meant for exploration. Then I got the core book and found the world already mapped out with nations, races, factions, backstories, agendas. Yeah, I could ignore all that, but it meant throwing away half of the book. Luckily this isn’t the case with L5R. My players will never see the Atlas. I won’t hang the map on the wall as I’ve done before. From time to time I’ll flip through, hunting for location descriptions, but I’ll studiously ignore the maps. I’ll keep my Rokugan weird and unknown, a place I’m still trying to figure out the stories for. 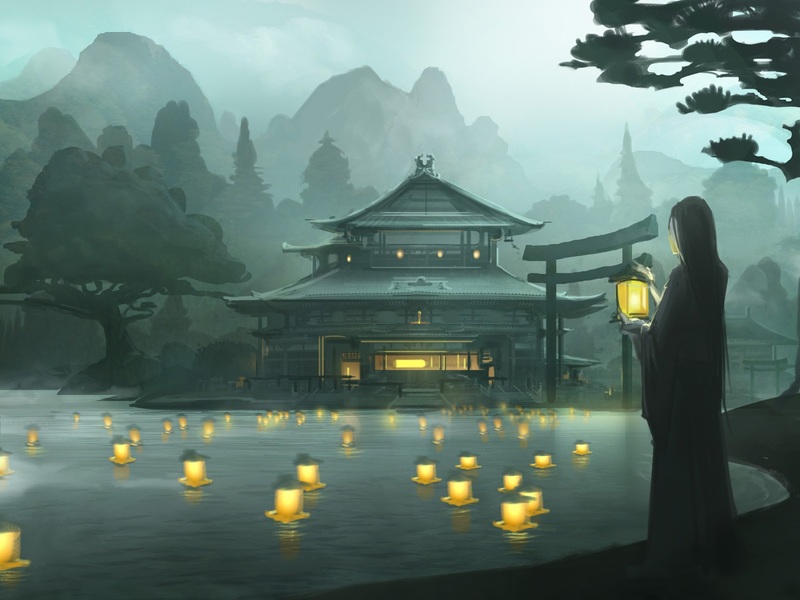 L5R's backlist lives on in electronic form. For my reviews of the earliest products and how useful they are for the present edition, see here.